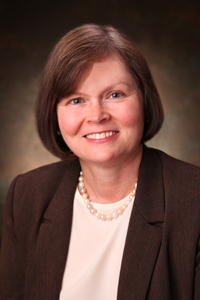 Northeast Georgia Physicians Group (NGPG) is pleased to announce Donna W. Whitfield, MD, a trusted and established internal medicine physician in Dahlonega, has joined the group. Her practice’s name is now NGPG Dahlonega Internal Medicine. Patients will still see the same staff but the practice will move down the road to 134 Ansley Drive, Suite 400, in Dahlonega. In addition, Dr. Whitfield is joined by a new nurse practitioner, Teresa Payne, NP-C.
Dr. Whitfield has practiced medicine in Dahlonega since 2001. She received her medical degree from Mercer University School of Medicine and completed her residency in internal medicine at Atlanta Medical Center. She is a member of the American Medical Association, the American College of Physicians/American Society of Internal Medicine and is a Fellow of the American College of Physicians. Dr. Whitfield is board certified by the American Board of Internal Medicine. NGPG Dahlonega Internal Medicine is now accepting patients for routine and preventive health evaluations, immunizations, same-day appointments, EKG, physicals and laboratory services. Call 706-864-1580 to schedule appointments 7 a.m. to 5 p.m., Monday through Friday.